Best computer franchise offer, Affiliate your computer center by Akhil Bhartiya Computer Siksha Abhiyan, Open computer center at a very low cost. Are you running computer center. Are you in search of an ISO certified institution to affiliate your own computer center. Do you want to open a computer center at very low cost by taking franchise of a computer center. Do you want to run a computer course in your school or any training center, here is an opportunity of franchise at low cost by ABCSA. Akhil Bhartiya Computer Siksha Abhiyan(ABCSA) is a national level computer instituion running successfully. 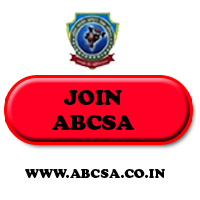 Get Affiliation/Authorization/Franchise of ABCSA at very low cost now. You can open computer center any where in India by taking FRANCHISE OF ABCSA. You can open computer education center at Village by taking franchise of an ISO certified institution regd. under govt. of INDIA. You can open computer education center at Tehsil level by taking franchise of akhil bhartiya computer siksha abhiyan. You can certified your already running computer center by taking franchise of ABCSA. Be a part of Digital India Mission by taking franchise of ABCSA. Be a part of India's No.1 Growing IT Mission by taking franchise of ABCSA. Online and Offline Opportunity to make career in Information technology by akhil bhartiya computer siksha abhiyan. Don't miss this chance to become an entrepreneur at a very low cost. Open computer center by taking franchise of an ISO certified, regd. under govt. of India institution. 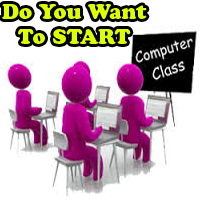 Join ABCSA Now For Life Long Opportunity To Learn and Earn By Teaching Computer Subjects. Franchise offer to open computer center in any part of india, best franchise provider to open authorised computer center in village, tehsil, city. 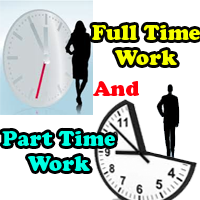 Computer education franchise offer to start own job part time or full time. Why To Take Franchise Of ABCSA To Open Computer Center In India? How to be entrepreneur in a very low investment? computer franchise, Affiliate your computer center by Akhil Bhartiya Computer Siksha Abhiyan, Open computer center at a very low cost. computer franchise in india, computer franchise at low cost, business opportunity at low cost, franchise in india to open computer center, ISO certified computer franchise. क्या आप ISO सर्टिफाइड संस्था से जुड़ना चाहते हैं. क्या आप कंप्यूटर के क्षेत्र में अपना नाम करना चाहते हैं. Why ABCSA Is SUCCESSFUL ? Franchise To Open Computer Center Any Where In India || Make Money By Teaching In Computer Center || An ISO Institution Franchise To Make Career In Information Technology Sector||Computer Institute Kholne Ke Liye Kya Kare|| Apna Computer Center Kholne Ke Liye Kya Kare, Computer Coaching Center Kaise Khole, Computer Shiksha Village, Computer Center Kholne Ka Tarika.